You can never have too many dangle earrings. 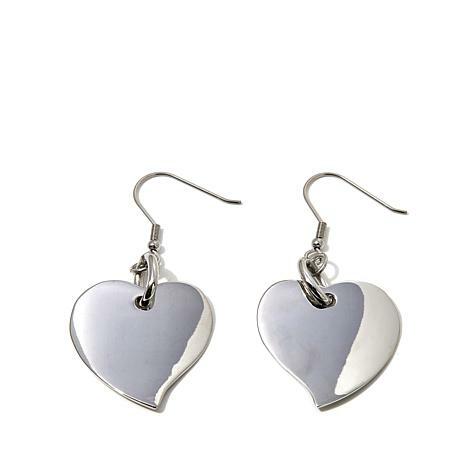 These stainless steel hearts are perfect with your favorite outfit — morning, noon and night. Who could ask for anything more? Love these earrings! Wore them for Easter...not too big, not too long...just right! Nice and classy without being ostentatious. Very happy with these earrings! Bought these for my mom's birthday present. She loved them. Not too big or small. They are perfect! Shiny, beautiful and well made stately steel. Just the right size and light on the ears. Good pair of earrings for the price...A sell out!! I was surprised that these earrings were larger than shown. 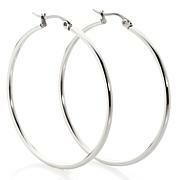 No problem here because the earrings are very light weight and has a good shine to them. 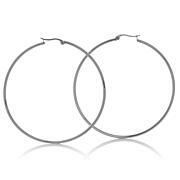 Because the design is very basic, it is a must pair of earring that can be worn casual or dressed up. 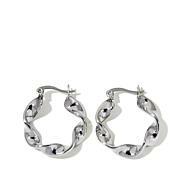 These earrings are a good buy for the price!!! I am sure they will sell out fast!! they don't look so pretty in hand. i don't like them. they don't look special. they look cheap. i gave them to a friend who said that she liked them.